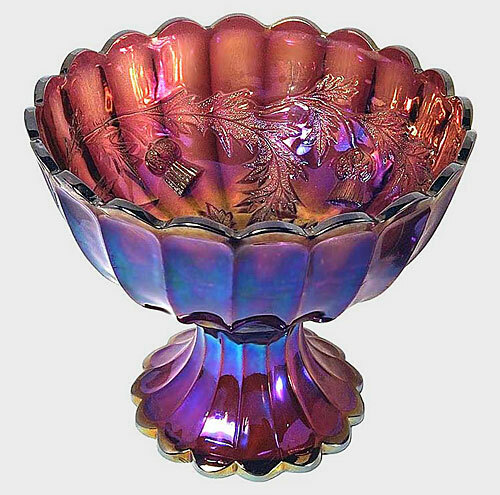 There are only two known examples of this punch bowl, both amethyst. The other, flared and with a chip on the collar base, sold at auction in 1996 for $11,000. This one sold in 2007 for $24,000 and for $18,000 in 2010.